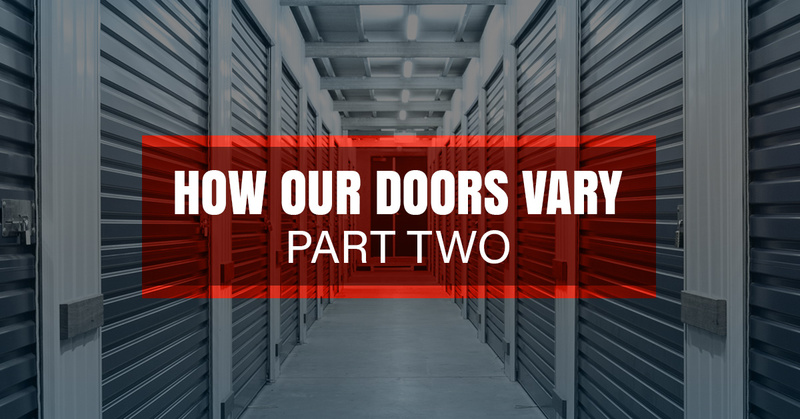 In How Our Doors Vary – Part One, we covered rolling shutter doors, rolling security grilles, and rolling doors and how they differ. Today, we’ll be going over fire doors and how they differ from our other products. As a commercial establishment in New York City, it’s important that you pick the right roller shutter door or fire door for your use. As a New Yorker, you know the importance of taking precautions with your safety. By picking the right door that ensures your needs, you’ll be able to get more out of your fire shutter door. For any questions you may have about our products, feel free to contact us. Fire doors are doors that are designated to help in the case of a fire. These doors will stop a fire from spreading from one area to another for at least three hours. Fires are very hazardous, but by stopping it for at least three hours, you’ll be able to eliminate a large amount of damage from occurring in the rest of the building. The rolling fire doors we offer are about 159 square feet and can be up to 12 feet in height. Fire doors are great for establishments such as warehouses, labs, and other facilities that deal with hazardous chemicals and services. Fire doors are perfect for those who need a high level of safety, protection against fires, and don’t want to face the consequences that can be brought on by a fire. By stopping the fire and the smoke in its tracks, you can save your property and your money. It can also save lives and compartmentalize the fire, so it’s not spread and the rest of the building is saved. Keep in mind, when you purchase a rolling fire door for your facility that it won’t stop the fire, it’ll only delay it until help is on the way. These models adhere to the necessary modifications to ensure they are safe and durable. The fire doors are manufactured with UL labels, which make sure they are in high-quality shape to ensure the fire stays in a specific area. With UL Labels Class A, B, or C, the fire door will keep out the smoke and flames for a few hours until help comes. These fire doors are made of interlocking slates that are cold rolled and dipped in galvanized steel. There are also slats on the inside of the door to wear on the surface of the door guides. The wind locks in these Models are furnished upon request as well, so you can pick and choose the necessary modifications you want to individualize your door to your expectations. Our fire doors differ from our other products by the simple fact that they protect your business from a fire spreading. If a fire occurs in your business, then these doors will compartmentalize the area. These are high-quality secure doors that are specifically made to trap a fire. In comparison, our other products such as roller shutter door, rolling door, and security grille, are made to specifically cater to needs such as keeping out inclement weather, attempted robbery or break ins, and are designed to be sturdy to keep out outside forces. If you have any questions about our fire doors, then call us today at 1-888-683-3516.